High-quality insulating PE foam pool cover, all around with solid PVC/polyester edge, adjustable roll-up ribbons and a free protective tarp. Target price per 1m², based on a 4m x 8m rectangle. Request your customized quote now! A swimming pool loses 70% of its heat via evaporation. A good pool cover reduces evaporation as much as 98%. 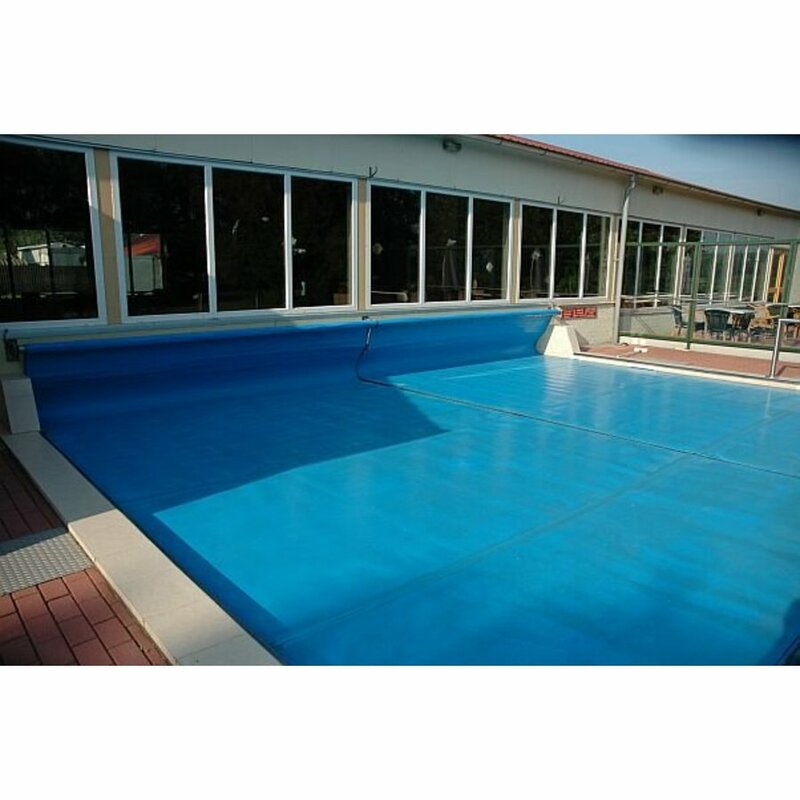 In addition, a pool cover has an insulating effect and thus preserves the heat in the pool. This is especially important during the night or cloudy and windy days. The PE foam covers have a thickness of 6mm and perform much better at this point than bubble wrap covers. A bubble wrap cover has the advantage that it allows free solar heat in the pool to heat the swimming water. This Solar effect depends on the light transmission of the chosen material. But because the material is rather thin, the pool loses quite a lot of heat at night. 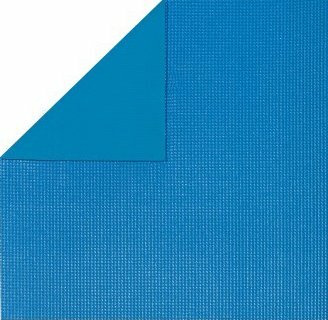 A PE foam 6mm swimming pool cover forms an insulating layer on your swimming pool, which keeps the heat well-kept day and night. 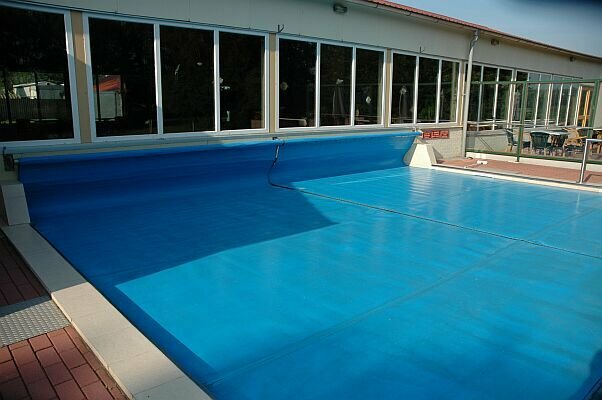 It is therefore important to put the pool cover on the water when the pool is not being used. This tarp is ideal if your heating system has sufficient capacity and therefore you do not need extra heating by the sun. A swimming pool cover made of PE foam 6mm saves about 40-50% more energy than a cover of bubble wrap 500 micron. In the case of an indoor swimming pool, this difference is even greater, since a bubble wrap cover can not benefit from a solar effect there. Because a PE foam cover does not let sunlight through, algae growth is significantly reduced and you need far fewer chemicals. 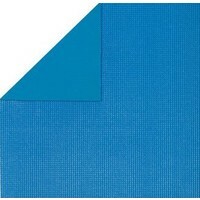 Swimming pool covers of PE foam thickness 6mm last the longest and keep the heat best during the night or cloudy days. 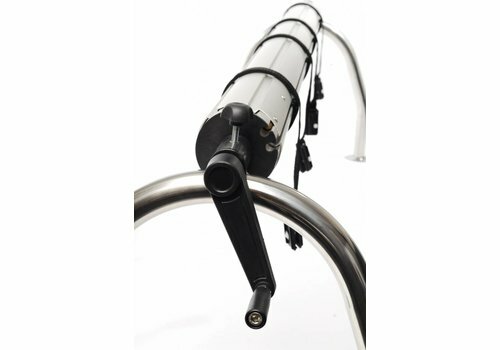 All pool sails are made to measure in the form (oval, circle, rectangle with roman staircase etc.) and with additional operations (stair cut, float, mesh etc.) as you wish. Your pool tarp is bordered around, has roll-up shades and a free protective cover.